The Weinstein Co. appealed heavily to the black faith-based community in promoting Lee Daniels’ The Butler, a strategy that appears to be paying off. Over the weekend, Daniels’ historical drama debuted to a stellar $25 million, easily winning the crowded box office race and exceeding Hollywood’s expectations. The $30 million-budgeted movie is based on the real-life story of Eugene Allen, a black butler who served in the White House through eight presidential administrations. Forest Whitaker plays the butler, named Cecil Gaines in the film, while Oprah Winfrey plays his wife. Of those buying tickets, 39 percent were African-Americans, an especially strong turnout. TWC and other box office observers believe church groups played a key role in driving the film’s opening, noting a large number of advance ticket sales. Major markets where the film overperformed in predominately black theaters include Washington, D.C., Northern Virginia, Atlanta and Chicago (Winfrey’s home turf). “While the biggest numbers came from the larger markets, proportionately the mid- and smaller-sized towns over-indexed, which can be attributable to some extent to the outreach that we did to the faith-based groups,” says Erik Lomis, president of distribution for TWC. 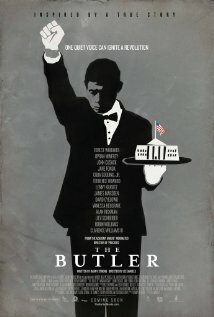 Read More How Black Churches Helped Fuel ‘The Butler’s’ Big Weekend – The Hollywood Reporter. This entry was posted in News from the Soul Brother and tagged african american, Black Church, entertainment, film, Forest Whitaker, Lee Daniels, movie, NAACP, National Urban League, Oprah Winfrey, The Butler, Weinstein Company. Bookmark the permalink. Pingback: Oprah Winfrey’s The Butler | Movies Are Fun! It’s interesting there was outreach to faith-based groups, because I didn’t notice much religion or spirituality in the movie. Aside from the funeral, I don’t think anyone ever went to church. Still, it was a good movie!